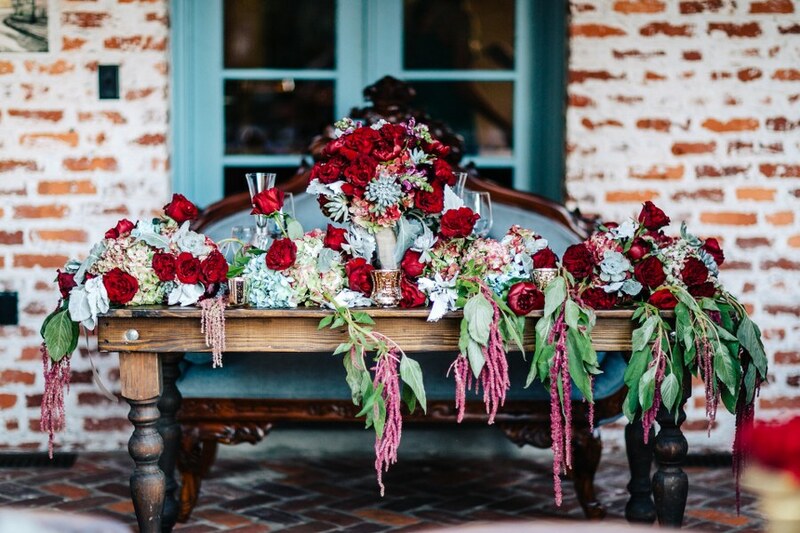 Casa Feliz is such a lovely venue on its own but add our vintage rentals and some lush floral and you’ve got yourself the most romantic Spanish style venue in Central Florida! A small patio made the perfect hideaway for the bride + groom to share a sweet moment together before joining their guests at the reception. Bubba is the latest addition to our family of farm tables – he’s super handsome and can seat up to 20 people, making him the perfect option for head tables and feasting tables. Pair him with some french country chairs and lush florals for an even more elegant feel!